Save cash by purchasing a Manduria travel package. Just pick your favourite options and let Expedia take care of the rest. In a matter of minutes, you'll be able to book everything you'll need for your next adventure via our exhaustive database. And — with more than 400 partner airlines and 321,000 properties from across the world, you'll have the freedom to mix and match! There are stacks of amazing things you can do when you visit a new place. So why not get your trip to Manduria off to the perfect start by perusing some of our recommendations? After all – out there starts here! Visiting an area's monuments is a wonderful way to get an insight into its accomplishments and history. Stop by Monument to the Fallen and discover the compelling tale behind it. There's a great range of things to do in and around this destination. If you're searching for a bit of spiritual enlightenment, call in to Chiesa di Sant'Antonio. Who knows, you might even glimpse the answers to a few of life's most mystifying questions! Still have some time to spare? If you could do with a little spiritual enlightenment on your travels, make your way to Church of San Leonardo. You never know, you might even discover the answers to one or two of life's most important questions! 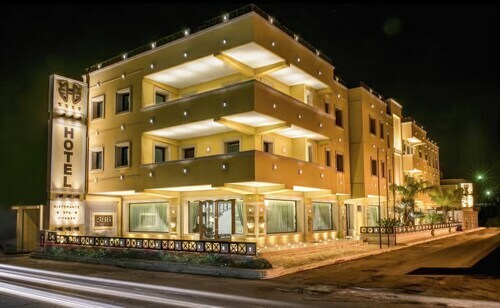 Searching for cheap holidays and luxury getaways in Manduria? Sadly, accommodations are in short supply. But, if you don't mind journeying slightly further out, you'll locate as many as 6 properties close by. At the Masseria Bosco (S.P.143, km. 1) and the Sine Tempore (Via Castorio Sorano, 5b), you'll get to enjoy a warm bed and a hot shower — just what you need after a big day! Getting on a plane to M.A. Grottag Airport (TAR) is the most convenient option for many visitors. When the plane lands, you'll be 16 miles (26 km) from Manduria. 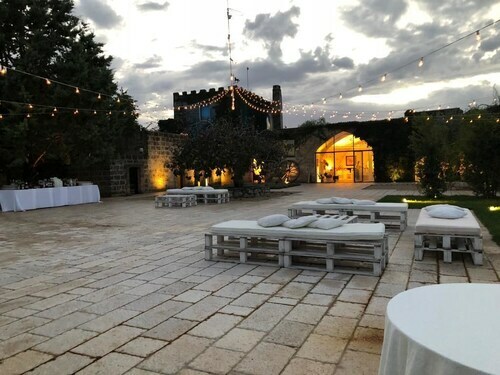 Situated in a rural location, this hotel is within 6 miles (10 km) of Archeological Park of the Messapic Walls, Chiesa di Sant'Antonio and Church of Santa Lucia. Church of San Leonardo and Monument to the Fallen are also within 6 miles (10 km). 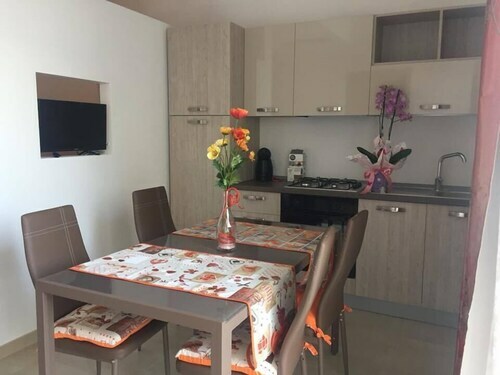 Situated in Manduria, this apartment building is within a 10-minute walk of Church of San Leonardo, Monument to the Fallen and Church of Santa Lucia. Archeological Park of the Messapic Walls and Chiesa di Sant'Antonio are also within 1 mile (2 km). Manduria Station is 13 minutes by foot. Situated in Manduria, this country house is within 3 miles (5 km) of Church of Santa Lucia, Monument to the Fallen and Church of San Leonardo. Archeological Park of the Messapic Walls and Chiesa di Sant'Antonio are also within 3 miles (5 km). 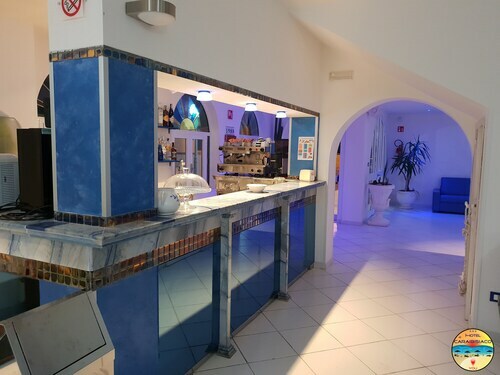 Situated in Manduria, this hotel is within 6 miles (10 km) of Salina dei Monaci, Punta Prosciutto Beach and Campomarino Dunes. Port of Campomarino and Porto Cesareo Marine Protected Area are also within 6 miles (10 km). 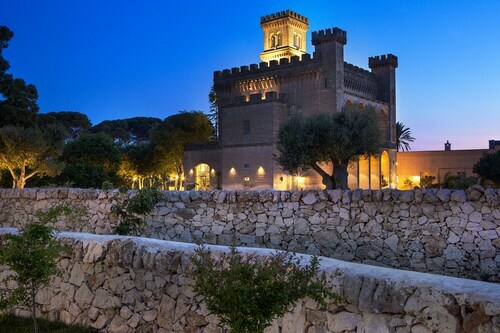 Situated in Manduria, this hotel is within a 15-minute walk of Church of San Leonardo and Monument to the Fallen. Church of Santa Lucia and Archeological Park of the Messapic Walls are also within 1 mile (2 km). Manduria Station is 19 minutes by foot. 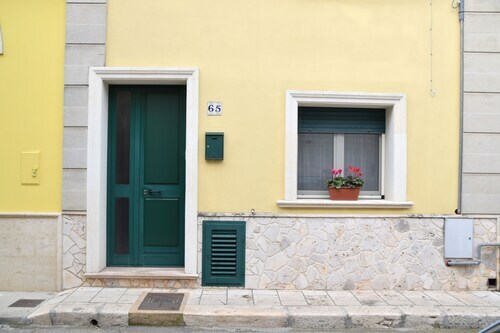 Situated near the beach, this guesthouse is within 9 mi (15 km) of Campomarino Dunes, Port of Campomarino and Pista Go-kart. Punta Prosciutto Beach is 8.5 mi (13.7 km) away. 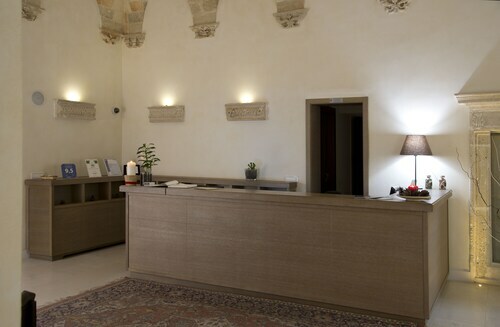 Situated in Manduria, this hotel is steps away from Church of the Holy Trinity and Museum of the Second World War. Church of Santa Lucia and Monument to the Fallen are also within 5 minutes. Manduria Station is 8 minutes by foot. Situated by the sea, this bed & breakfast is within 1 mi (2 km) of Church of San Leonardo and Church of Santa Lucia. Crypt of the Mummies and Gate of the Jews are also within 9 mi (15 km). Manduria Station is 7 minutes by foot.